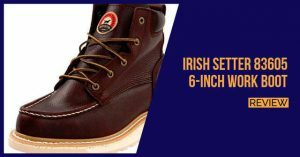 As we have mentioned before, KEEN designs shoes for a wide variety of purposes and their shoes generally come off well for more than working purposes to ensure that the user really gets more value for their money. 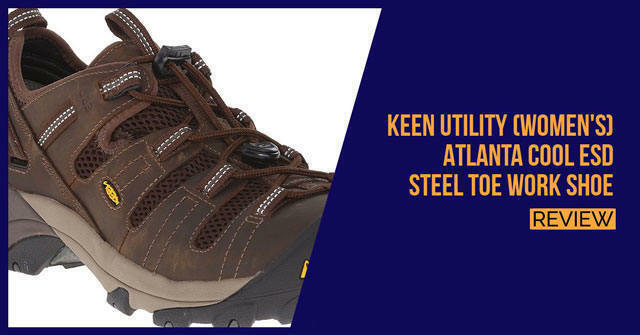 The KEEN Utility Atlanta Cool Steel Toe features a stylish and sleek design and while it does not look like a work boot and more like a shoe, the shoe has all the features, you would expect to find in some of the top boots on the market today. The shoe is constructed from a combination of leather and mesh and this gives you excellent ventilation and durability. A non-marking rubber outer sole with unique pattern means that you never need to worry about slipping ever again. The shoe does not require you to be careful in oily conditions and this makes it perfect for factory work. The only real problem is the lack of joint and ankle support, which might be an issue. EVA is used for the midsole and this is one of the best features of the shoe, aside from the asymmetrical steel toes that should offer you protection, it also molds to the shape of your feet to reduce fatigue and offer a little more in terms of the overall comfort. Those suffering from pronation and supination should find this helpful. The shoe is much cheaper than some of the shoets and it has the ability to help the same way as the shoes would in terms of the overall protection that is offered from them. We would recommend the shoe for all the safety features that are on offer as well as the comfort and versatility users can draw from.